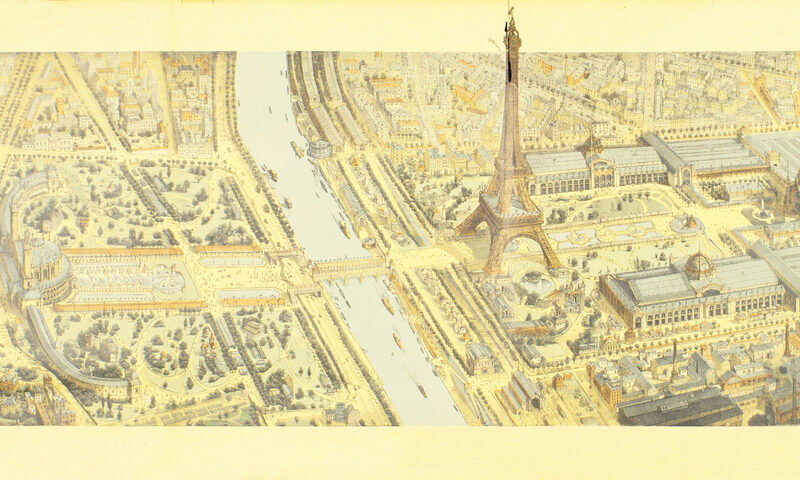 The 9th Summer Program for Yiddish Language and Literature in Paris will be held at the Paris Yiddish Center – Medem Library from July 23rd to August 10th, 2018. Since 1997, the Paris Yiddish Centre – Medem Library has organised an international summer program every third year, under the pedagogical direction of Yitskhok Niborski. 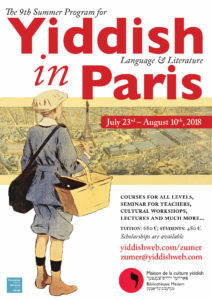 For three weeks, the Paris Yiddish Centre hosts students from all around the world in the heart of Paris, offering a rich program of language courses and cultural activities. The workshops, conferences and film screenings enable students to strengthen their Yiddish language skills while connecting with other Yiddishists from faraway lands. In addition to our long-established offerings of four levels of language and literature classes ranging from beginner to high advanced, we will be instating a new, unique program: a three-week pedagogical training seminar for emerging Yiddish teachers.